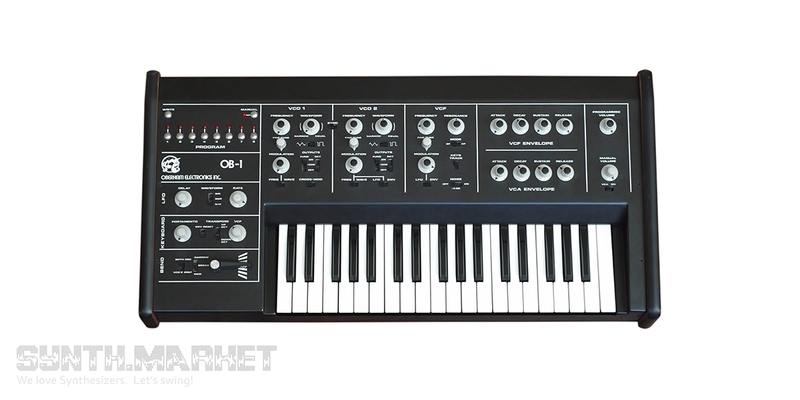 This small analog monophonic synthesizer strongly influenced the sound of pop music of the 1980s. 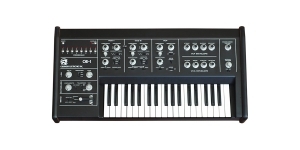 The main feature that explains the popularity of OB-1 - the ability to save settings in one of eight presets. All functional blocks are built on discrete elements (late representatives of the OB series used specialized CEM chips). 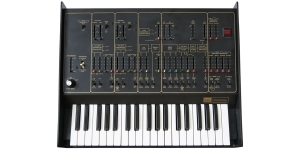 The synthesizer has two voltage controlled oscillators (VCO), each of which has an independent frequency controller, a micro-tuning, an octave switch. There are triangular and rectangular waveforms available that can be transformed by built-in converters into saw, reverse saw, meander with different duty cycles and intermediate forms. 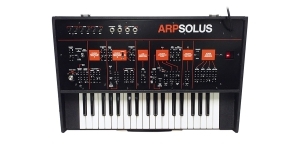 For modulation, an LFO is provided that produces a sine or square wave. The modulation signal can be sent to the cutoff frequency of VCF or modulate (FM and PW) VCO. The voltage controlled low-pass filter (LP VCF) has cutoff, resonance and modulation depth adjustment. 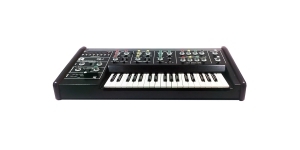 There is a selection of the number of VCF stages, which allows you to obtain a slope of 12 or 24 dB per octave. 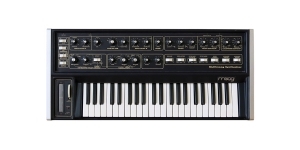 A keyboard tracking mode is also provided (higher notes have a higher cutoff frequency). 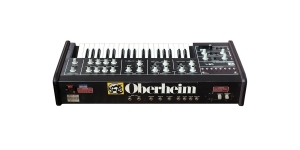 OB-1 has two built-in ADSR envelope generators. One of them is dedicated to VCF, the second - to VCA. 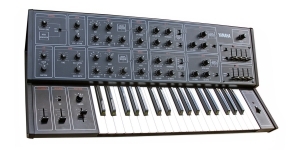 The synthesizer got a non-dynamic keyboard with 37 keys. The "transpose" switch allows you to change the pitch within three octaves. Pitch bend control has an original implementation - it is carried out with a lever. 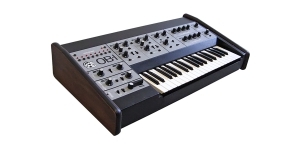 OB-1 was used by Supertramp, Electronic Dream Planet, Tangerine Dream, Sky, Herbie Hancock, Rush.